New Testament evangelism was accompanied by the demonstration of God's power. Jesus commanded His disciples, "As you go. . .heal the sick, cast out demons." And they went forth, and preached every where, the Lord working with them, and confirming the Word with signs following. (Mark 16:20). Believers in the first church were constantly on the move for the sake of the Gospel, effectively penetrating areas that were ready to receive the Word. In the book of Acts the church was forced into strategic mobility by persecution. When believers were scattered because of persecution in Jerusalem, they "went everywhere preaching the Word." When Philip was in Samaria reaping a great spiritual harvest, the Lord called him to go to the desert. God had a mission for him with an Ethiopian man who would play a tremendous role in evangelizing Africa. Philip immediately left Samaria and went to the desert. Jesus compared world evangelism to the natural harvest. If we are to reap the harvest when it is ready, we must go where the harvest is when it is ripe. We must be willing to move or stay in order to accommodate the harvest. We must also have a soldier mentality. When we become believers, we enlist in the spiritual army of the Kingdom of God. We are called to "endure hardness as a good soldier"
Thou therefore endure hardness, as a good soldier of Jesus Christ. (2 Timothy 2:3). A soldier cannot retreat or go on leave just because things get tough. The test of a good soldier is not his appearance during a parade, but his performance on the battle field. A soldier does not choose his assignment and he does not act today on the basis of orders received 20 years ago. They were good orders then, but have long since become obsolete. Thus, a soldier of Jesus Christ is open to fresh assignments and revelations from the Holy Spirit. Apostle Paul followed this command of "dust shaking." The ministry the Gospel was rejected in Antioch of Pisidia, so Apostle Paul left there and went to Iconium. 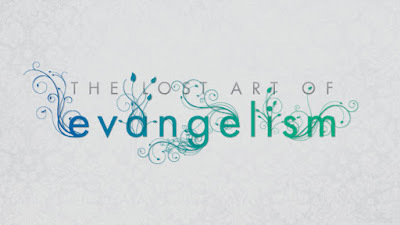 In New Testament times, evangelism was done by believers networking together for the advancement of the Kingdom of God. Christians were not separated by denominational lines or busy promoting their own churches or organizations. We must return to networking in order to make the best use of available resources to reap the great spiritual harvest God promised in these end times. New Testament evangelism resulted in the formation of a local fellowship of believers. The work of evangelism is not complete until new believers become a functioning part of the Church. In New Testament times converts were turned to disciples within the context of the local church. And this continued by the space of two years; so that all they which dwelt in Asia heard the word of the Lord Jesus, both Jews and Greeks. 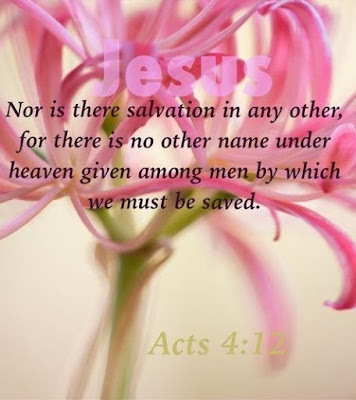 (Acts 19:10). For from you sounded out the word of the Lord not only in Macedonia and Achaia, but also in every place your faith to God-ward is spread abroad; so that we need not to speak any thing. (I Thessalonians 1:8). They turned the world upside down--And all this was done in a wicked and godless society, without printing presses, church buildings, seminaries, denominational headquarters, and modern means of mass communication and rapid transportation. Our mark in the world today should be the same as the original disciples. With all of the modern technology available today, one has to ponder the question - has evangelism been lost in the body of Christ? If the answer is yes, we need to quickly find it. Wake up body of Christ and complete the assignment given to us.